It may sound like a small thing, but previous connected Casio watches in the Edifice range were not user friendly, and the watches suffered from Bluetooth connection and sync problems. We’re happy to report it’s not the case anymore, as the app is well designed, simple to navigate, and the features all work without issue. There’s also a handy guide to show the various functions of the watch, and quick access to the timer and alarm. This year at CES, Casio announced a new collection of watches that expand upon the recently released G-Squad product series – their very first foray into the world of hybrid fitness tracking wearables. By using Casio’s G-Shock Connected app, available for iOS and Android, the new Casio G-Shock GBA-800 series of ‘Training Timer’ watches will use an on-board accelerometer to provide users with up-to-date and detailed activity tracking information. 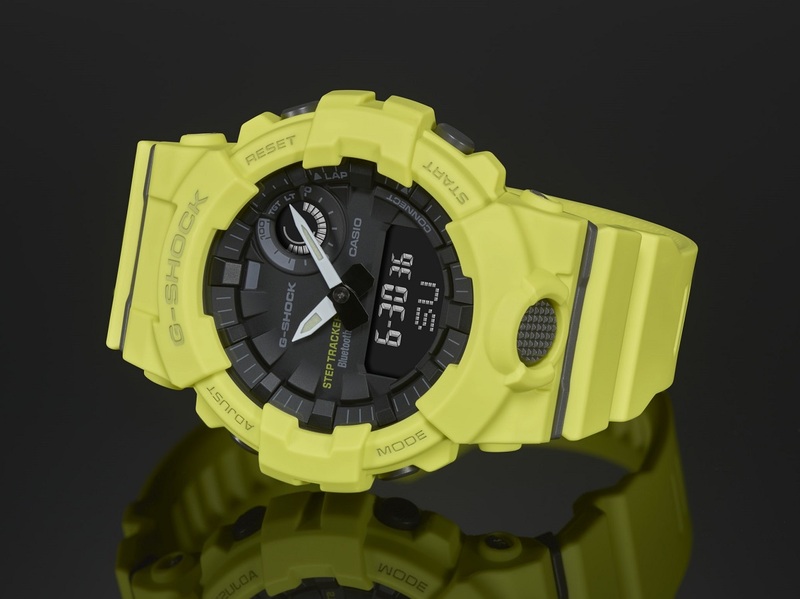 This is a proprietary Casio application that works via Bluetooth and has become more and more popular thanks to Casio’s growing collection of G-Shock Connected watches. While the watches are definitely feature-packed, one thing is for certain – Casio successfully managed to integrate a wide variety of fitness tracking tech into a watch that retains a very basic, user-friendly layout. In other words, it’s still a G-Shock that feels pleasantly familiar and that’s something we think a lot of Casio fans can get behind. One of the reasons that a large portion of watch enthusiasts tend to shy away from connected, activity-tracking watches is the fact that they rarely feel familiar. Many times, the interface can seem cumbersome and aesthetically, they can be a bit lacking. 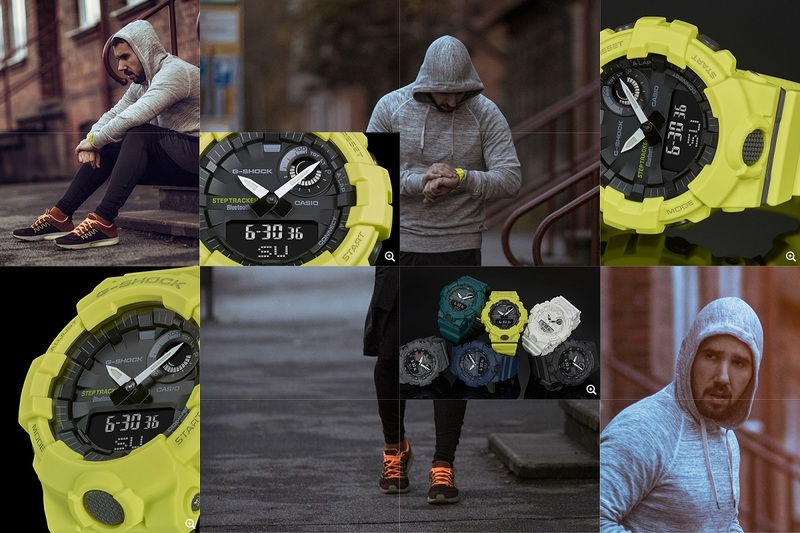 With the Casio G-Shock GBA-800 watches, however, Casio skillfully merges their latest ‘Connected’ tech with one of their classic “Ani-Digi” G-Shock configurations – almost like a simplified version of what you’d find in a higher-end Mudmaster, for example. The result is a more versatile product that can satisfy wearers from an aesthetic standpoint while serving as a tool that they can wear the entire day. 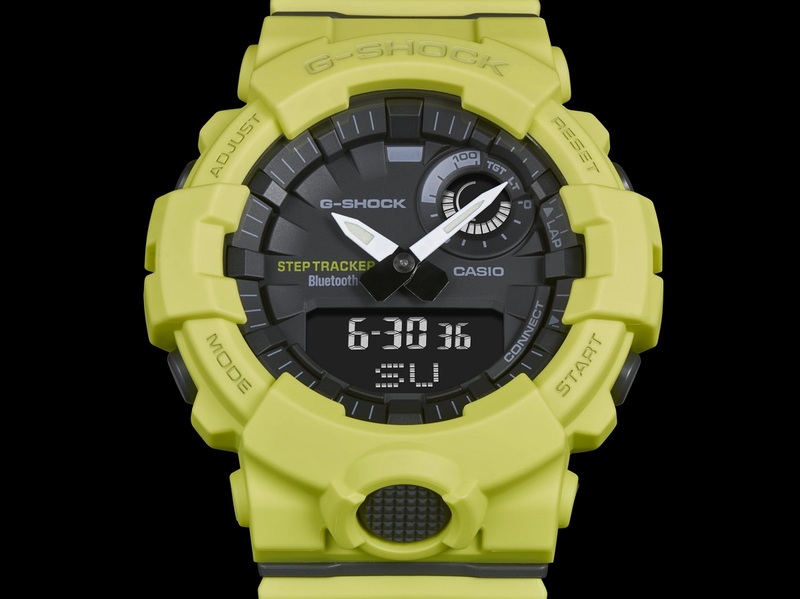 The G-Shock style is there, but there’s a lot more substance under the hood – and all for less than $150. 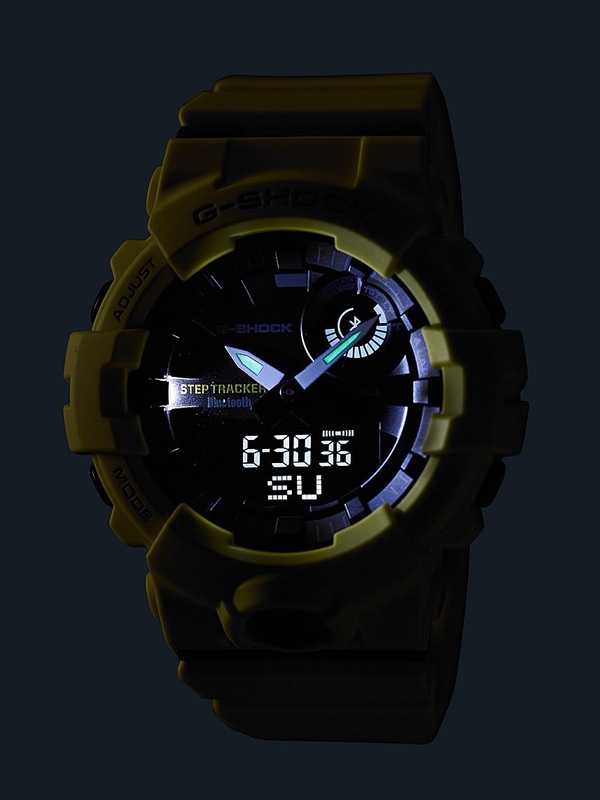 The Casio G-Shock GBA-800 series watches measure in at a modest (for G-Shock) 48.6mm in diameter and feature the same tough case construction that all G-Shock products are known for. They’re also 15.5mm thick with a lug-to-lug measurement of 54.1mm. While it sounds big, the integrated 15-hole rubber strap will probably be more than enough when the time comes to fine-tune a flat and snug fit on the wrist. Water-resistance is 200m and at 61 grams, the GBA-800 shouldn’t weigh you down on your morning jog. exercise intensity (5 levels) is displayed for each day, week, and month. All of this data is automatically synced via a data transfer that runs four times a day when the watch is connected to the Bluetooth app. 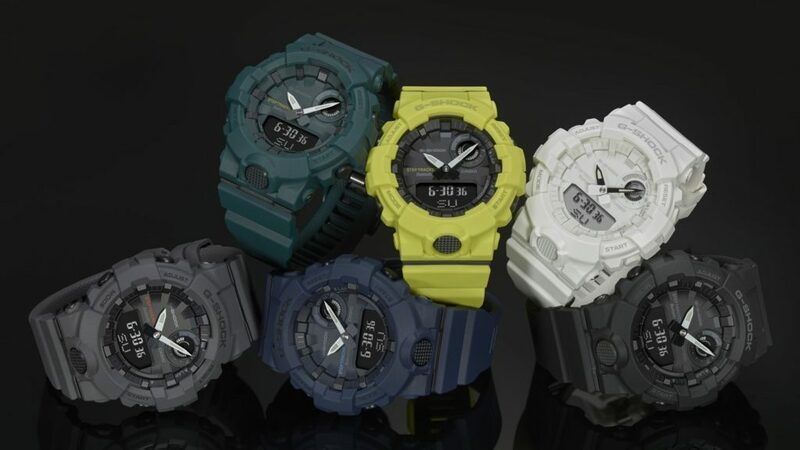 Besides the fitness features, the Casio G-Shock GBA-800 ‘Training Timers’ are also very capable watches. The display is big, legible, and the analog hands are even programmed to automatically move out of the way when cycling through information shown on the digital display. Users will have the ability to set up to five different countdown timers for interval training, store up to 200 lap times with the 1/100-second stopwatch, and even set a dual time display with 300 cities to choose from. If that wasn’t enough, Casio even managed to pack in a Phone Finder function, which activates an audible alarm on your phone with the push of a G-Shock button.